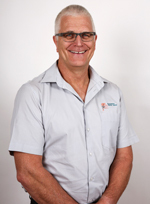 Will Levecke joined the practice 1990, and has served on the Executive of the Australian Osseointegration. His special interests are in Cerec CADCAM and the surgical and restorative aspects of Dental Implant Treatment. In 2006 he was appointed Teaching Fellow at School of Dental Science, University of Melbourne. He is a member of the International Team for Implantology. (ITI) Will is a member of the Australian Dental Association (Vic Branch) and the Australian Osseointegration Society (Vic Branch). He served as an honorary dentist during the Melbourne 2006 Commonwealth games. Will maintains an interest in the applications of IT to dental practice and is involved in the ongoing testing of new applications.